Due in part to recent television shows related to the trend, tiny homes are gaining visibility as a concept as well as traction in the marketplace. Although formal definitions don't exist, tiny homes are typically spaces of 100–500 square feet. They appeal to buyers who want to downsize, to minimize their environmental footprint or to spend more on travel or other lifestyle aspects instead of a large mortgage. 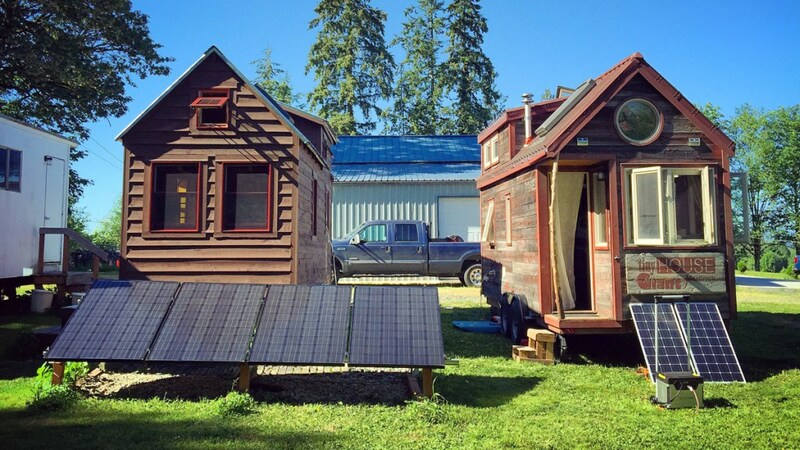 Tiny homes are naturally greener because of their size. They consume far fewer resources in their initial construction, and the environmental cost of living in a tiny home is correspondingly smaller—for example, the average tiny home uses only six light bulbs, whereas the average regular home uses 45, and heating and cooling consumption is a fraction of the typical load for an American home. Environmentally sound elements of most regular-sized green homes can be built into your custom tiny home, limited only by your imagination and budget, but if you prefer a prefab home, there are models available with green features. As a recent article on TakePart shared, companies such as zeroHouse and EcoCapsule specialize in self-supporting structures that employ solar or wind power and rainwater-collection tanks. A challenge with going tiny is that the legal definition of such structures can be blurry. Building codes and zoning laws vary from state to state, so be sure to learn the definitions in your area for what constitutes a house or an RV and how to be in compliance with building, zoning and tax requirements. Washington, D.C., for example, recently loosened restrictions on what it terms "accessory dwelling units" on the properties of larger homes. California is currently the leader in friendliness to tiny house living, based on a recent ranking. Cities are also looking into the feasibility of tiny homes in providing low-impact, affordable housing for all residents and combating homelessness. Fab City, a temporary green home installation in Amsterdam, focuses on moveable and energy-efficient units. In Austin, Texas, Community First has built a tiny-house village that provides a home for 250 of the city's chronically homeless. It's possible that we're just at the beginning of a trend that, beyond its "cute" factor, has real potential for our increasingly crowded world. Tiny homes make sense ecologically, socially and financially. Maybe it's an option that could work for you.